Are you looking at a house with “good bones” but it needs a lot of work? The FHA 203(k) loan program provides funds for renovations and repairs of your primary residence by financing the after-improved value rather than the present value of the home¹. 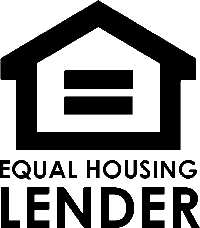 Qualified borrowers receive a single loan with one closing! 1. 203(k) Streamlined loan limited to $35,000 for repairs or renovation. 203(k) Full repair amount is based on the purchase price plus repairs or 110% of the after-approved value, whichever is less. Must include fees, contingency reserve and repairs. 2. Up to an additional $8,000 may be available. Energy Efficient Mortgage Program improvements must reduce energy expense of a home to qualify. Examples of qualifying improvements include central heating/cooling, replacing wall heating units, test and seal ductwork, dual pane or low E windows and sliding doors, exterior doors and sunscreens, attic and wall insulation and water heater replacement. 3. Structural repairs or improvement qualify on the 203(k) Full only. Located in Long Beach, CA. Servicing Los Angeles, Orange, Riverside and San Bernardino Counties. And the entire State of California.